Day 12: Meditate for at least ten minutes. Focus on deep breathing and let go of negativity. Keeping It Real: I’m switching up the order today so that Keeping It Real is first because of my own experience with meditating. I used to think meditating sounded relaxing in a sort of “oh that would be nice,” detached way. But I also thought it sounded a little… out there. I had no idea how to make it work for me. But then I had this unexpected interaction with an energy reader that made me very curious about how she could do what she did. I found out she taught classes and so I decided to take her course on Meditation once a week for six weeks. This is what I learned: I wasn’t doing it right before and… I love it! It’s incredibly cleansing and revitalizing. Once I learned how to let go and allow my subconscious mind take over, I was shocked at how much better I felt. There’s not a very good way to describe how it feels until you’ve experienced it. It’s like trying to describe the taste of salt to someone who’s never had it. If you haven’t tried meditation or think it’s not for you (like I used to), just try to let go of those for the day and give it a shot. What’s stopping you? You only stand to benefit from it. Go into today’s focus with an open mind. Meditation is the art of focusing 100% of your attention in one area. The practice comes with a myriad of well-publicized health benefits including increased concentration, decreased anxiety, and a general feeling of happiness. Although a great number of people try meditation at some point in their lives, a small percentage actually stick with it for the long-term. This is unfortunate, and a possible reason is that many beginners do not begin with a mindset needed to make the practice sustainable. 1) Make it a formal practice. You will only get to the next level in meditation by setting aside specific time (preferably two times a day) to be still. 2) Start with the breath. Breathing deep slows the heart rate, relaxes the muscles, focuses the mind and is an ideal way to begin practice. 3) Stretch first. Stretching loosens the muscles and tendons allowing you to sit (or lie) more comfortably. Additionally, stretching starts the process of “going inward” and brings added attention to the body. 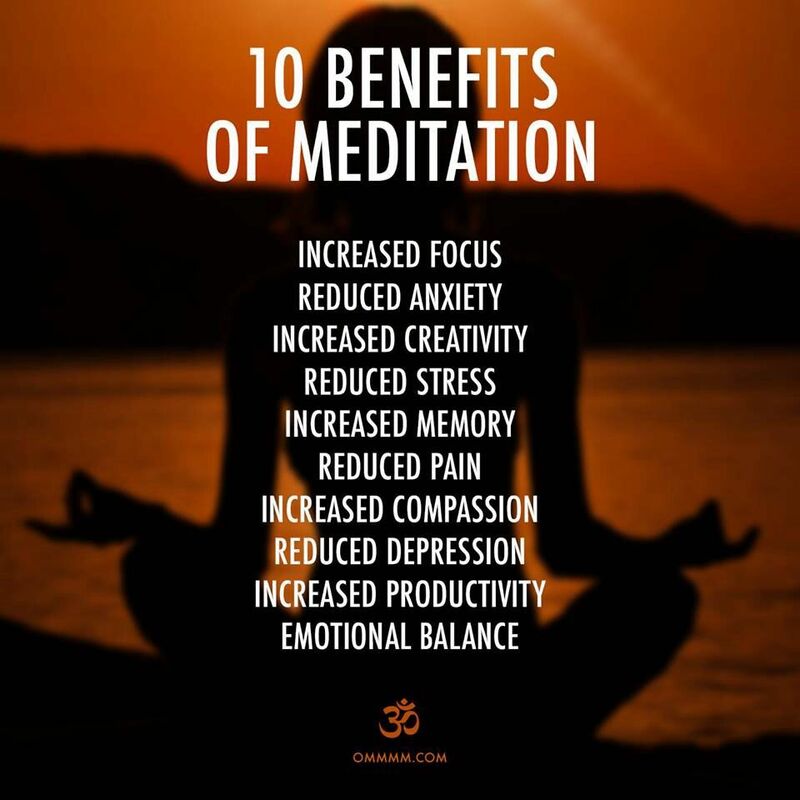 4) Meditate with Purpose. Beginners must understand that meditation is an ACTIVE process. The art of focusing your attention to a single point is hard work, and you have to be purposefully engaged! 5) Notice frustration creep up on you. This is very common for beginners as we think “hey, what am I doing here” or “why can’t I just quiet my damn mind already”. When this happens, really focus in on your breath and let the frustrated feelings go. 6) Experiment. Although many of us think of effective meditation as a Yogi sitting cross-legged beneath a Bonzi tree, beginners should be more experimental and try different types of meditation. Try sitting, lying, eyes open, eyes closed, etc. 7) Feel your body. A great practice for beginning meditators is to take notice of the body when a meditative state starts to take hold. Once the mind quiets, put all your attention to the feet and then slowly move your way up the body (include your internal organs). This is very healthy and an indicator that you are on the right path. 8) Pick a specific room in your home to meditate. Make sure it is not the same room where you do work, exercise, or sleep. Place candles and other spiritual paraphernalia in the room to help you feel at ease. 9) Read a book (or two) on meditation. Preferably an instructional guide AND one that describes the benefits of deep meditative states. This will get you motivated. John Kabat-Zinn’s Wherever You Go, There You Are is terrific for beginners. 10) Commit for the long haul. Meditation is a life-long practice, and you will benefit most by NOT examining the results of your daily practice. Just do the best you can every day, and then let it go! 11) Listen to instructional videos (*my tip- there’s a lot of Videos on Youtube). 12) Generate moments of awareness during the day. Finding your breath and “being present” while not in formal practice is a wonderful way to evolve your meditation habits. 13) Make sure you will not be disturbed. One of the biggest mistakes beginners make is not insuring peaceful practice conditions. If you have it in the back of your mind that the phone might ring, your kids might wake, or your coffee pot might whistle than you will not be able to attain a state of deep relaxation. 14) Notice small adjustments. For beginning meditators, the slightest physical movements can transform a meditative practice from one of frustration to one of renewal. These adjustments may be barely noticeable to an observer, but they can mean everything for your practice. 15) Use a candle. Meditating with eyes closed can be challenging for a beginner. Lighting a candle and using it as your point of focus allows you to strengthen your attention with a visual cue. This can be very powerful. 16) Do NOT Stress. This may be the most important tip for beginners, and the hardest to implement. No matter what happens during your meditation practice, do not stress about it. This includes being nervous before meditating and angry afterwards. Meditation is what it is, and just do the best you can at the time. 17) Do it together. Meditating with a partner or loved one can have many wonderful benefits, and can improve your practice. However, it is necessary to make sure that you set agreed-upon ground rules before you begin! time to practice: it is quieter, your mind is not filled with the usual clutter, and there is less chance you will be disturbed. Make it a habit to get up half an hour earlier to meditate. 19) Be Grateful at the end. Once your practice is through, spend 2-3 minutes feeling appreciative of the opportunity to practice and your mind’s ability to focus. hard work, and you will inevitably come to a point where it seemingly does not fit into the picture anymore. THIS is when you need your practice the most. I hope you have a relaxing Sunday and that you give meditation a try! If you want to see what we’re doing tomorrow, the cheat-sheet is below! If you want to see what we’ve done so far, you can get caught up HERE. Have a great night! See you tomorrow!